The listing data tab is an optional part of the setup process. 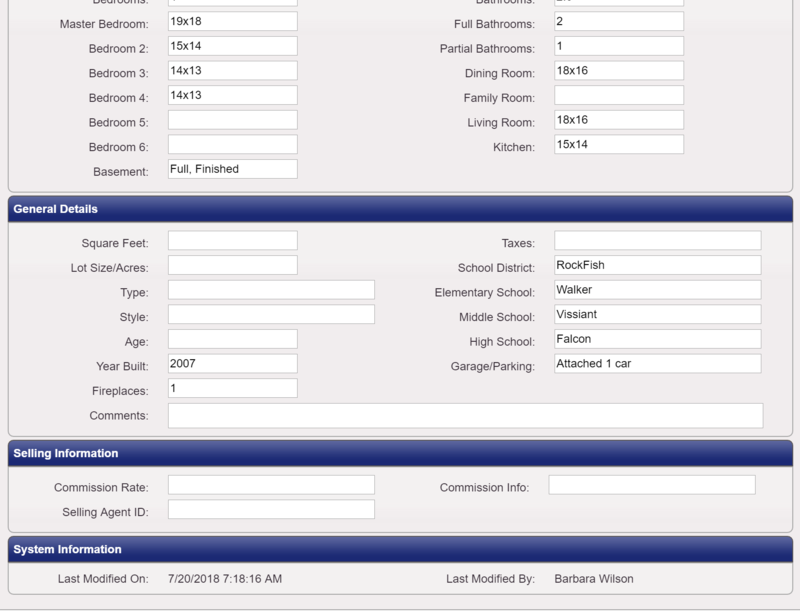 Depending on your Multiple Listing Service (MLS) we may have some of this information already filled out. However, you can feel free to update or add any information that you need. Some of the fields include room sizes, lot sizes, Square Feet, and School District information. This information is useful for potential buyers to narrow down the area the listing is in. In some cases, there may be a need to have a custom status for a listing. These statuses are not reflected in the MLS and have no bearing on MLS level settings. In general, they are meant to give you a little flexibility when adding a new listing into the MLS. 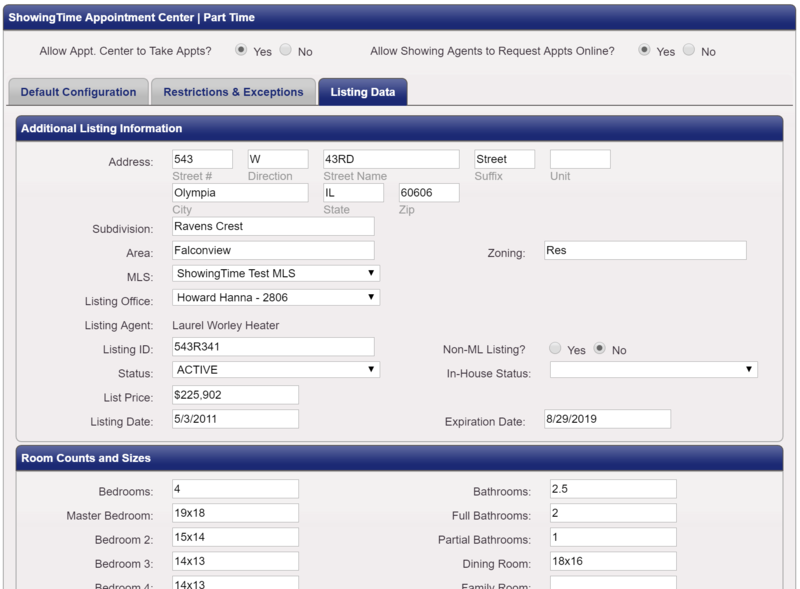 Since there can be a delay between when you enter it and when ShowingTime has access to it, you can alternately enter in a basic framework of the listing in ShowingTime so that you can schedule appointments on it. A custom status can be set up by your office manager or office administrator.